Abstract: The stigmatization of Saint Francis (1224) is a prominent moment in the history of medieval sainthood in Latin Christianity. According to medieval assessment, none of the saints managed to get so close to Christ whom they strove to emulate, as Francis, respected as “alter Christus” by contemporaries and posterity. This resemblance found its bodily expression by his reception of the wounds of Passion, the stigmata. Though Franciscans insisted that this was a unique privilege given to their founder, several hundreds of stigmatics showed up in the subsequent eight centuries. One of the most popular among them was the Capuchin friar Pio da Pietralcina, known as Padre Pio (1887-1968), stigmatized in 1918, canonized in 2002. Though his stigmata, and the cult unfolding around him had initially an ambivalent and controversial reception, by now Padre Pio became the most popular recent saint of the Catholic Church, in Italy and also beyond. I will compare the medieval and the contemporary model of the “living saint,” the nature of their popular cult. I will reflect upon the fact that emulation is at the heart of the phenomenon of stigmatization. 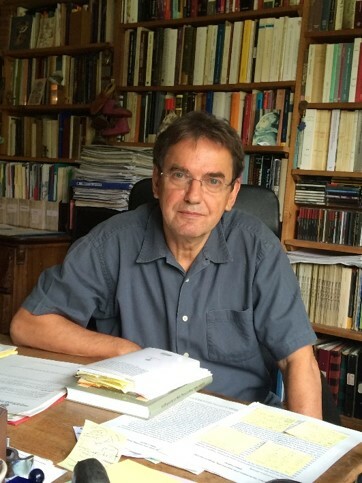 Gábor Klaniczay is University Professor at CEU, Department of Medieval Studies. He studied at ELTE, Budapest and EHESS, Paris. Since 2014 he is correspondant étranger of the Académie des Inscriptions et Belles Lettres, Paris. His principal field is the historical anthropology of Christianity (sainthood, miracle beliefs, stigmata, visions, healing, magic, witchcraft). He is also dealing with regional comparisons, situating medieval and early modern Central Europe in a broader context, and he equally researches modern perceptions and misuses of medieval heritage. His books include The Uses of Supernatural Power (1990), Holy Rulers and Blessed Princesses (2002), Procès de canonisation au Moyen Âge. Aspects juridiques et religieux (ed.) (2004), Witchcraft Mythologies and Persecutions. (ed. with Éva Pócs) (2008); Manufacturing the Middle Ages (ed. with Patrick Geary) (2013); Saints of the Christianization Age of Central Europe (Tenth-Eleventh Centuries) (ed.) (2013).